Wastewater clarification, or sedimentation, is the process of separating suspended solids from wastewater using gravity. Suspended solids include settleable and colloidal solids. Colloidal solids must be chemically treated via coagulation and flocculation to enhance removal during the wastewater separation process.. If untreated, contaminated wastewater is released back into the environment, it could cause harm to neighboring communities. According to the U.S. Geological Survey, nature can handle small amounts of waste, but not the massive amount of used water industrialized cities and towns produce. 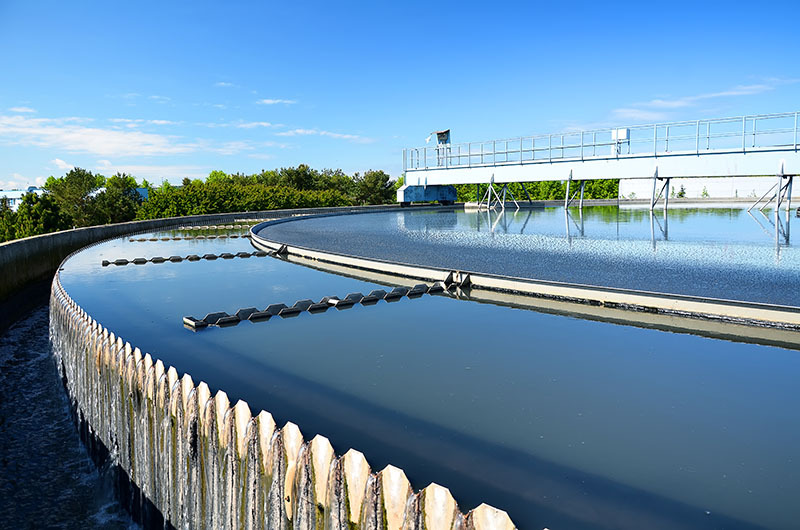 What Kinds of Risks Does Wastewater Clarification and Separation Reduce? Untreated wastewater contains oil, chemicals, food scraps and human waste. Left in this state, wastewater would cause serious problems. Dirty water can cause diseases such as E. coli, giardia and shigella. Primary clarifier wastewater treatment is the first line of defense against this happening. Water pollution impacts not only the people, but also the fisheries and wildlife in Texas. It’s even believed that the high rate of birth defects and liver cancer in San Antonio are a result of groundwater contamination caused by dumping by the military in the past. Ultimately, the U.S. Air Force paid to cap in excess of 70 wells in the affected neighborhoods. Wastewater clarification and separation removes settleable and colloidal solids that would otherwise make the environment uninhabitable for animal populations. For example, bacteria from waste uses up oxygen and other resources that aquatic species require for their survival. Chlorine and excessive nutrients like phosphorus and nitrogen can be toxic to plants and animals. Wastewater comes not just from industrial and home use, but also from stormwater. Rain falls on roofs, streets, parking lots and other surfaces, and then runs off into the city’s sewage system. This adds to a municipality’s overall collection of wastewater that must be treated, as the stormwater mixes in with common sewage disposal. Once wastewater runs through the sewage system, the city becomes liable for treating it. AOS Treatment Solutions offers a range of products for the municipal clarification process in wastewater treatment. Our products include essential nutrients, selected strains of enzyme-producing bacteria, as well as coagulation aids to improve settleability. Contact us for more information on the full line of wastewater clarification products used in the wastewater treatment process from AOS.